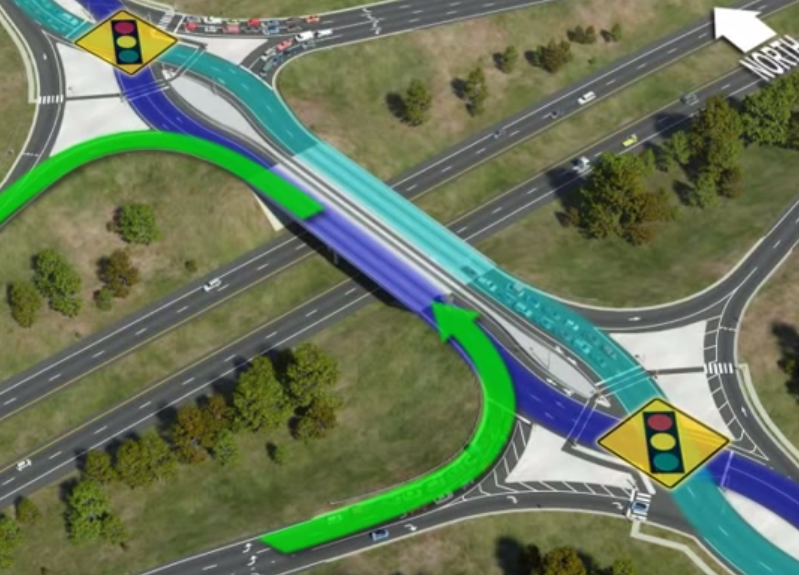 A conceptual rendering of SH 45 SW, stretching from Bear Creek to MoPac. Supporters of the State Highway 45 Southwest toll road project showed up in the hundreds Tuesday night at a Texas Department of Transportation public hearing on the project's draft environmental impact statement. While vocal opponents of the project – including the City of Austin and Save Our Springs Alliance – denouncing the draft's conclusions and data during the hearing, the majority of comments were in favor of the roadway, receiving cheers and applause from the largely pro-45 crowd inside Bowie High School's cafeteria. "For those of you that are adamantly opposed to this project, I say reconsider, reevaluate, take a look at the data and see if you remember why you were elected to these various offices," said Miguel Morris, a resident of Shady Hollow in Southwest Austin. "I say I can boil that down to one idea, and that's to help people get things done. We need your support." The public comment portion of the hearing lasted nearly three hours. Wearing green "Yes to 45" and "Keep Brodie Local" T-shirts, supporters spoke of how the roadway would alleviate current traffic congestion from Brodie Lane and eliminate the traffic bottleneck created by a growing population in southern Travis County and northern Hays County. TxDOT expects the population of that area to increase nearly 85 percent by 2035. Buda Mayor Todd Ruge spoke first during public comments. "Today we're pushing 13,000 people, and there are projections that in the next 20 to 25 years, there's going to be 70,000 people in Buda," Ruge said. "This road should be done sooner than later." TxDOT's draft environmental impact statement claims that the planned SH45 SW water quality protection measures will take more than 90 percent of the Total Suspended Solids from runoff entering the Edwards Aquifer recharge zone, which the roadway would sit directly over. The Texas Commission on Environmental Quality requires at least an 80 percent removal. 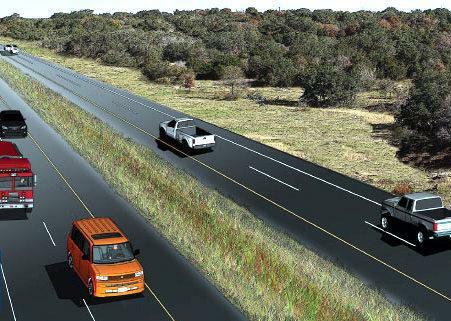 "What we're achieving here is a roadway highly designed to address the sensitivities of the project area," said Carlos Swonke, director of TxDOT's environmental affairs division. "These kinds of roadways don't get designed every day. We're going through a major effort here to be very sensitive to where this roadway is and the water quality issue dealing with Edwards Aquifer." Supporters of the roadway touted that a 90 percent removal of solids would provide even cleaner water to the aquifer than the runoff going into the recharge zone now. "SOS should declare victory and celebrate the exemplary environmental design of this road. Instead, they're making this their last stand and I hope it's Custer's last stand," Pam Baggett of the Shady Hollow board of directors said. "We know that this can be done in an environmentally sound way." Critics of the draft, however, doubt the science behind TxDOT's claims. "It's completely bogus, and the city's technical comments and our technical comments will refute that. There's no support for that in the literature," SOS's Bill Bunch said. Some even doubted that the new roadway would solve the current traffic congestion, instead pushing the same traffic onto MoPac. 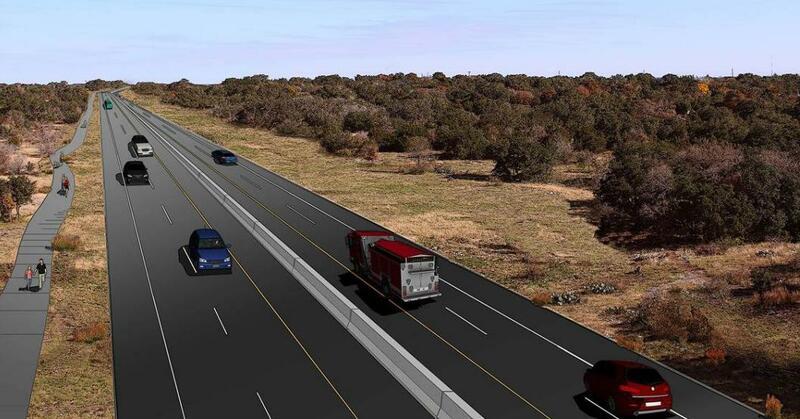 The proposed highway would connect MoPac and FM 1626. "What we're doing here is diverting the attention.... It seems to me we're redistributing traffic and not addressing the entire scope of the problem," Dennis Tingle said, "I ask TxDOT to not spend up to $100 million of our money without addressing the complete traffic problem." Austin City Manager Marc Ott sent a letter to TxDOT last week requesting that the agency either withdraw the draft or extend the public commenting period because of incomplete ecological surveys. Public comment on the draft ends Aug. 13.